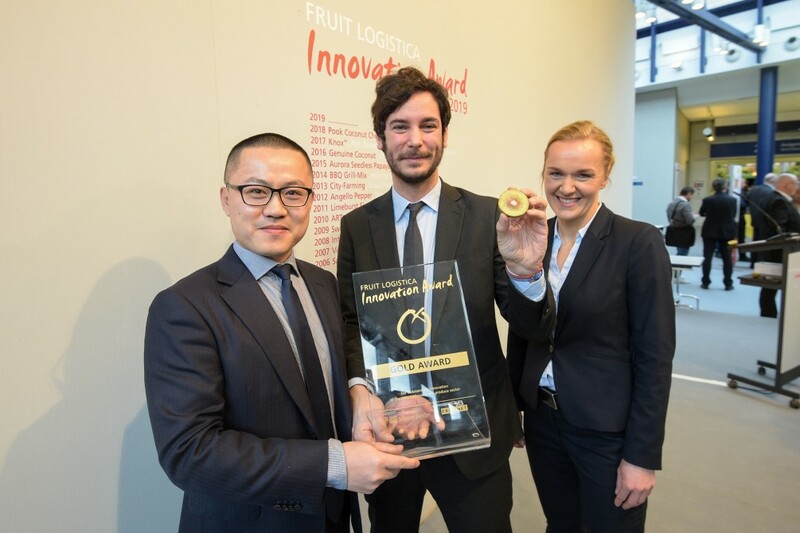 Berlin, 8 February 2019 – The FRUIT LOGISTICA Innovation Award has been won by the “Oriental Red® – red kiwi fruit” from Jingold in Italy. Trade visitors to FRUIT LOGISTICA had two days to cast their votes for the industry’s most important prize. The “Oriental Red® – red kiwi fruit” from Jingold in Italy won Gold. Originally from China, the red Dong-Hong kiwi not only has unique organoleptic properties, but also boasts an excellent shelf life. As well as the fiery red colour of its flesh, trade visitors also commented on the fruit’s extremely pleasant, sweet taste. With a sugar content of 20 to 21 degrees Brix, the Oriental Red® – red kiwi fruit leaves an exotic aftertaste that enriches the international fruit trade. “We are very happy to win this important award. It’s been a year of hard work for our team. We invested a lot of energy to develop and improve our product and are glad that people like it so much”, says Federico Milanese International Development Manager. 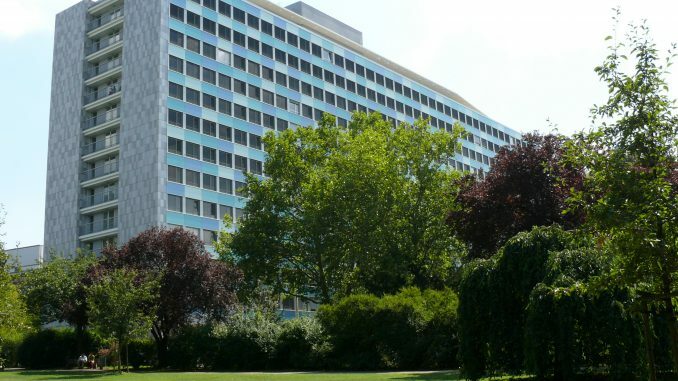 Silver was awarded to the “Softripe® Ripening Technology” from German firm Frigotec. Trade visitors were impressed by this natural, energy-saving ripening technology for bananas and other tropical fruit. Thanks to Softripe® Ripening Technology, fruit reaches consumers at optimum ripeness. Varying the different ripening levels can also improve fruit quality. The Bronze FLIA was won by the “Top-sealable compostable, recyclable strawberry punnet”from CKF in Canada. With their sealable, compostable and recyclable wood pulp punnets for 350 to 400 grams of strawberries, the Canadians are setting an example of environmental protection in terms of sustainability. The wood pulp punnet not only provides a great deal of protection for the fruit and a view of the product, but also ensures a longer shelf life, without using plastic. FRUIT LOGISTICA is the leading trade fair for the global fruit trade and has been held annually since 1993. 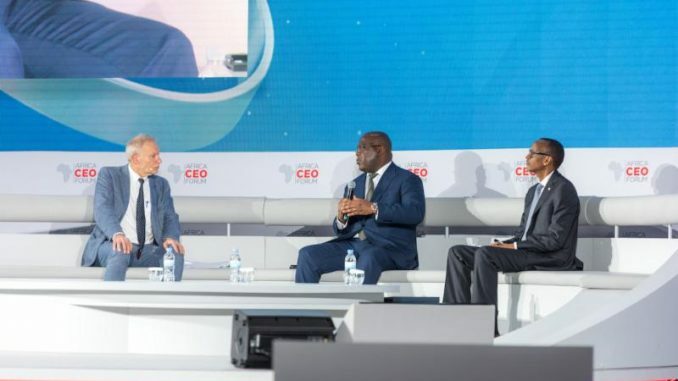 In 2019, over 3,200 exhibitors from more than 90 countries showcased their products, services and technical solutions in Berlin. The FRUIT LOGISTICA Innovation Award was presented for the fourteenth time in 2019. It is considered to be the most important prize in the industry.